What is Jungian Psychology? Guy Albert, Psychologist. What is Jungian Psychology? Guy Albert, Psychologist. 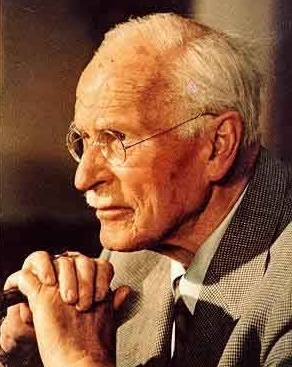 Carl Jung was a Swiss psychiatrist whose work with unconscious processes in the early- to mid-twentieth century made him a pioneer in the field of mental health. Many of the notions he developed have become part of our daily language. He coined the terms introversion and extraversion, and whereas introverts may have been considered deviant or maladapted, Jung normalized this as a variant of human nature. He also spoke of the existence of a “collective unconscious,” a controversial concept that speaks to the shared (collective) psychic material that does not belong to personal experience. Related to this is the concept of “archetypes,” which was Jung’s way of speaking to the primordial and instinctual images of the collective unconscious. Whether these concepts ring a bell for you or leave you asking more questions, the most important thing to remember is that Jungian psychology was developed out of Jung’s pioneering work and was honed over many subsequent years to address the whole of the personality. Jungian analysts are generally trained to hold the complexity of the human psyche and all its expressions. The depressive, anxious, or even the seemingly abnormal or deviant expressions of the human psyche can all have some form of fundamental meaning if understood within the lens of the Jungian analyst. Though some have questioned Jung’s reputation, Jungian analysts have gleaned the richest material from the originator of this approach, amplified it, and added to it their own understanding through years of research, scrutiny, and application. Most Jungian analysts have undergone extensive training in an institute to be certified in the field. Candidates in training are in the process of receiving such certification.